Do you know what Albert Einstein said about insanity? So what on earth does this have to do with acne?! you ask. If you’ve tried all the as-seen-on-TV acne treatments and over-the-counter face washes, and can’t seem to get rid of acne, we have some news for you: you’ve been trying to fix something that wasn’t the real problem. You’re doing the same wrong thing over and over and expecting different results. 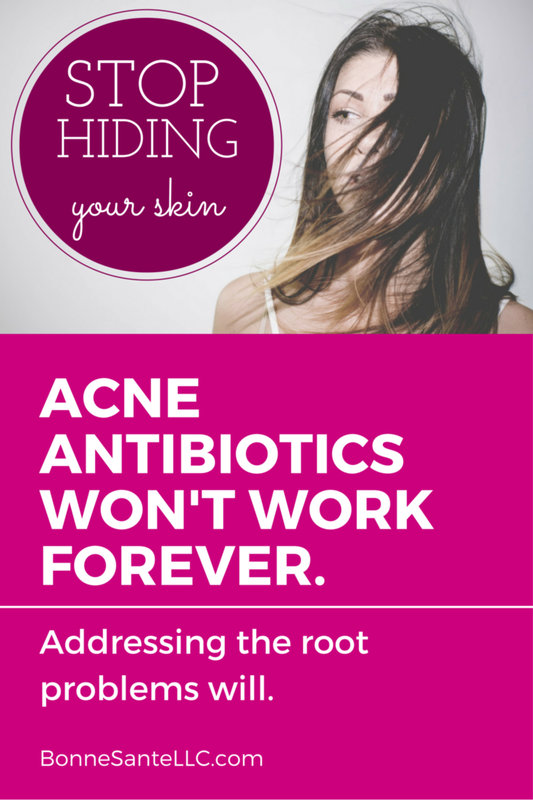 If you’ve tried the often advertised antibiotic treatments--anything that contains salicylic acid--and they haven’t worked for you, it means bacteria was never the root cause of your acne. Fun Fact: bacteria isn’t the only instigator of acne. So if you’re treating bacteria, but not the clogged pore filled with too many dead skin cells and sebum, then you’re not going to have beautiful, acne-free skin! Which then demands the question: what’s causing the overproduction of the dead skin cells and sebum? what you put IN your skin (a.k.a. food that you eat!). Think about joining the Bonne Sante Clear Skin Program where we’ll heal and clear your acne in 6-12 weeks. We use a three step approach so we leave nothing to chance-nutrition, effective skincare and facials. You’ll get a Nutritional and Lifestyle Consultation, an initial Acne Clearing Facial, and 3 Hydrating or Natural Facial Peels. Call or book online to schedule a sit-down meeting or Skype consult!